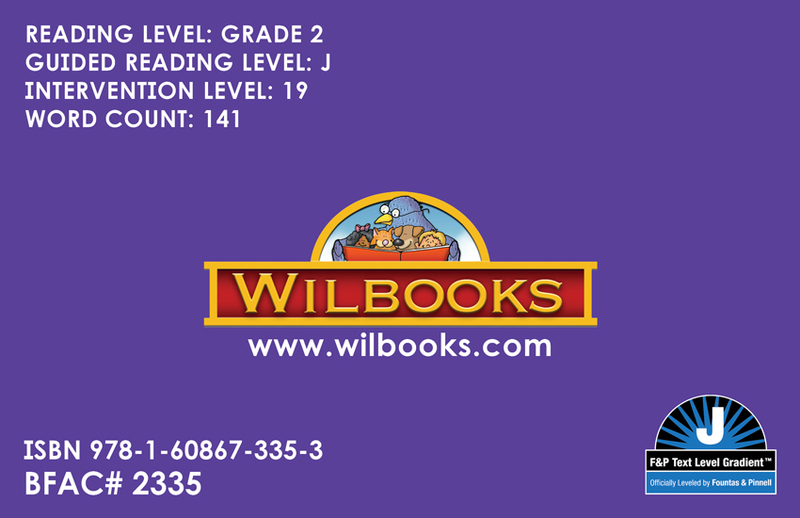 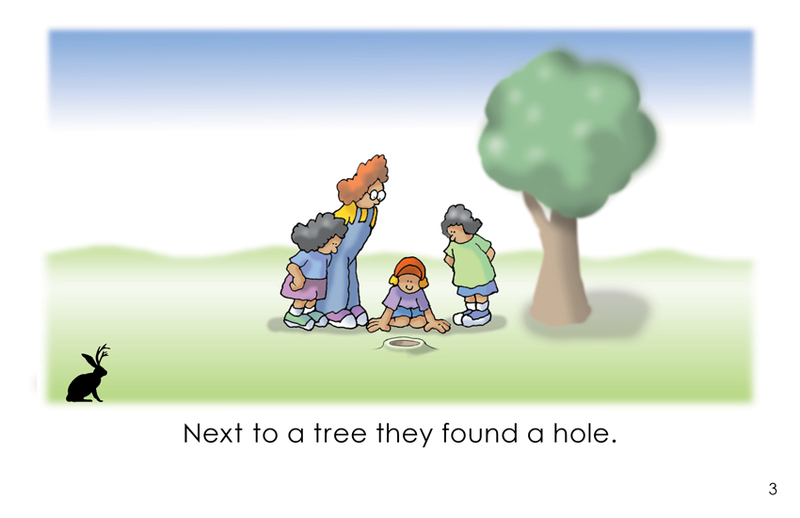 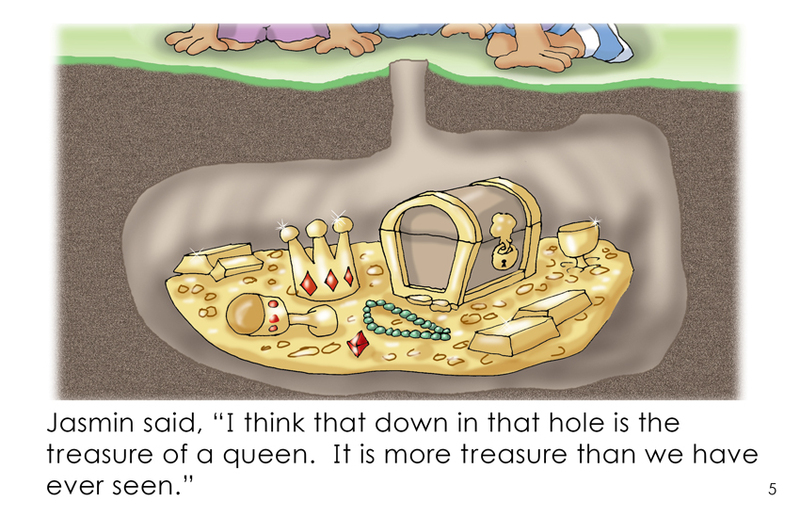 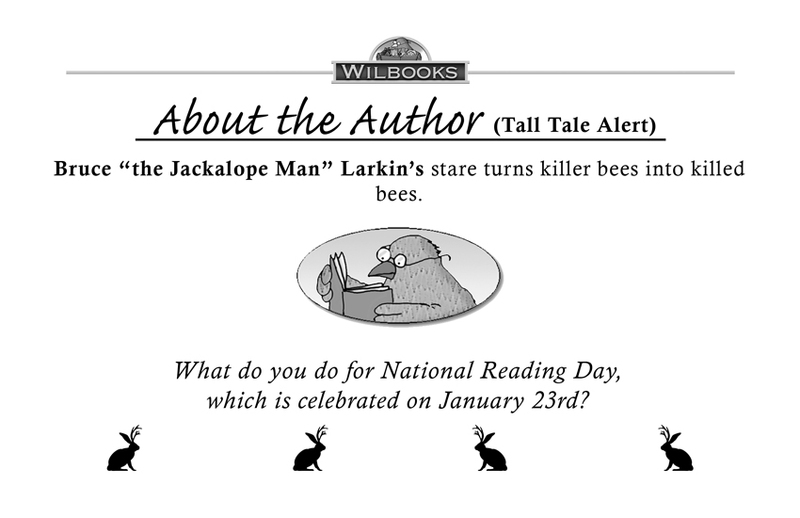 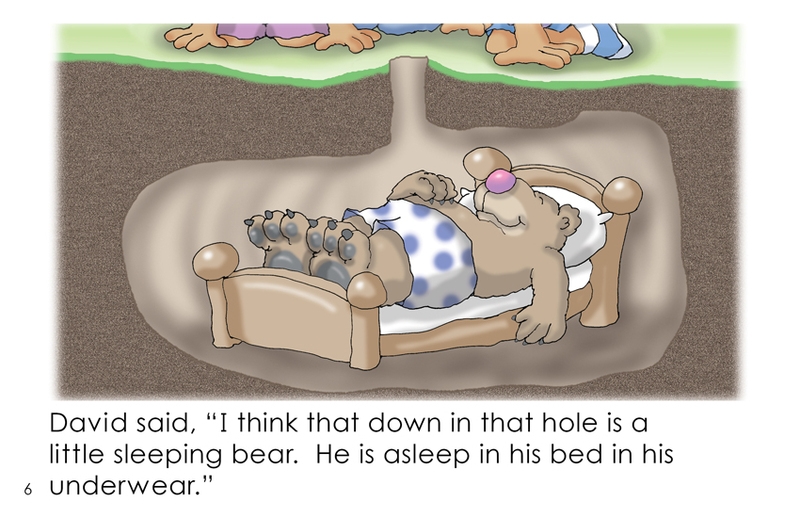 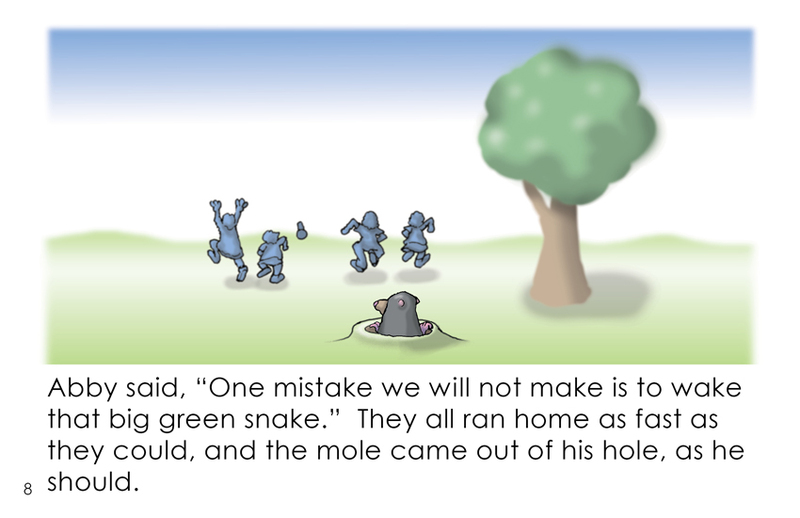 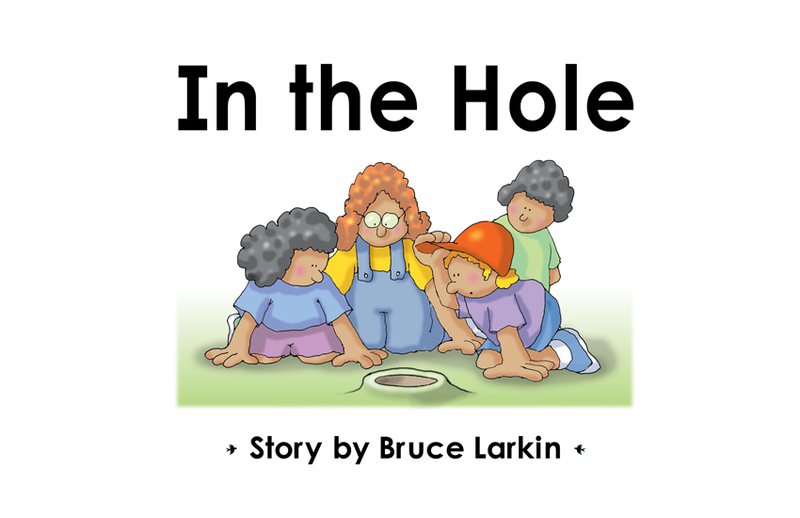 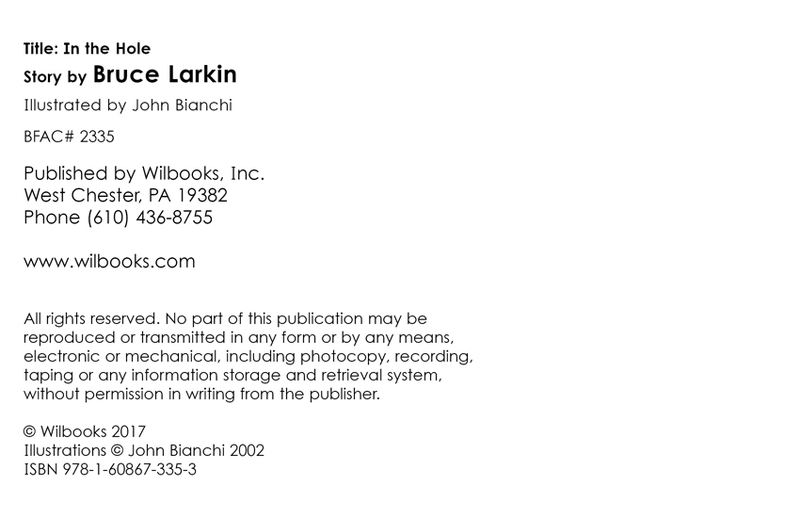 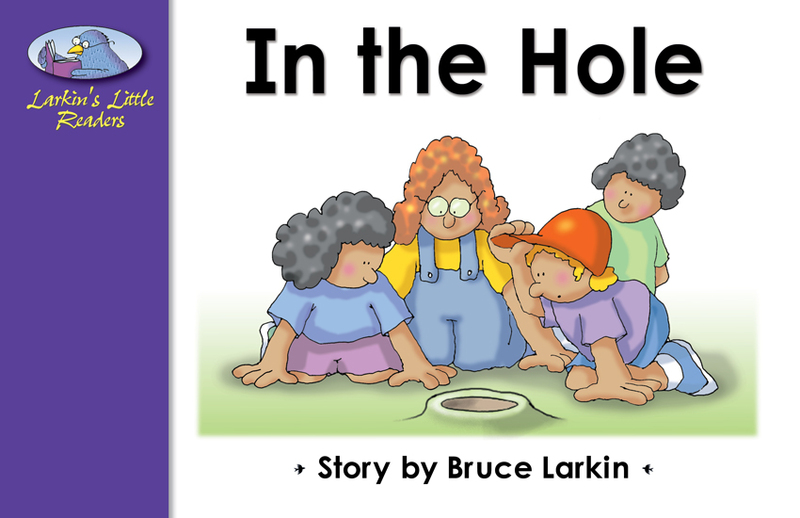 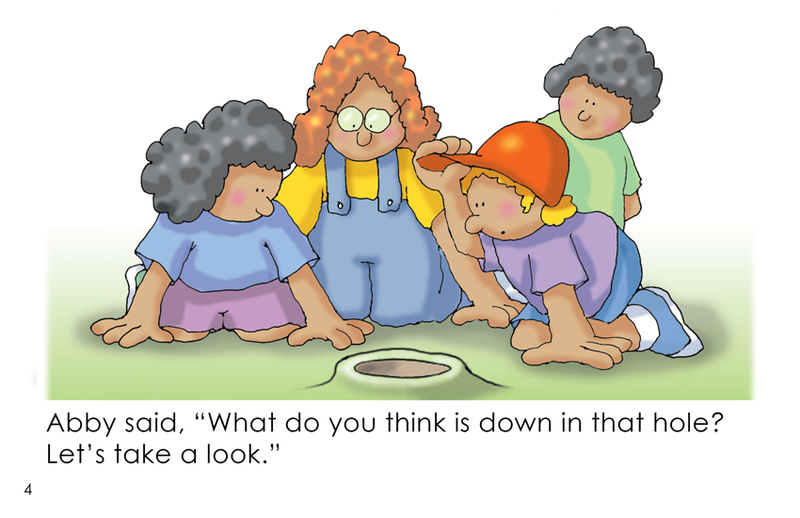 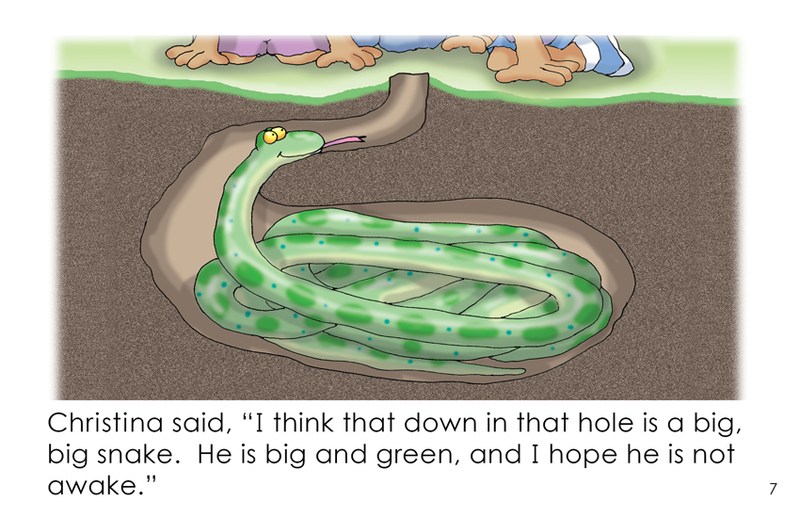 "In the Hole" is an 8-page rhyming story for first and second grade readers. 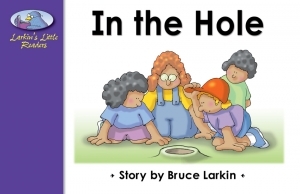 A group of kids peer into an unknown hole and guess what might be down there. 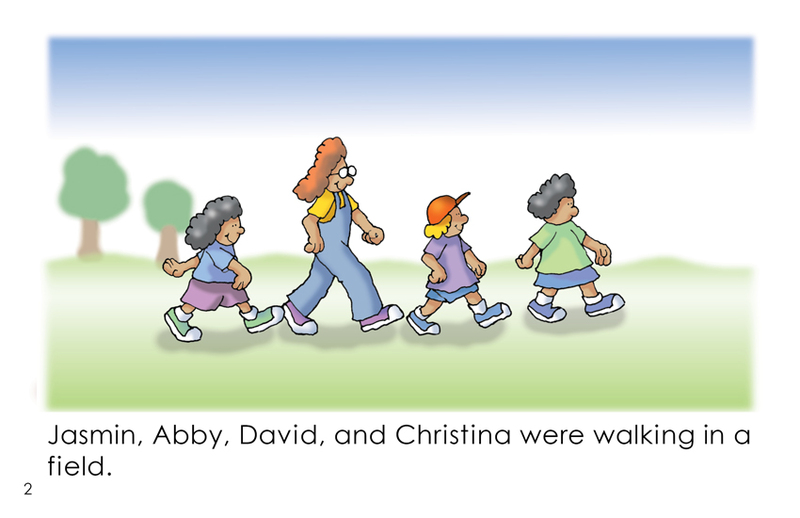 Their conjecture changes from page to page.